1. At domain controller, login as Domain Administrator. 2. Launch "Server Manager", expand "Roles". 3. 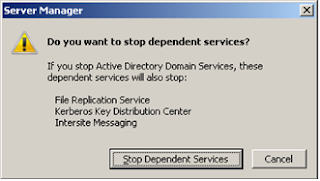 Select "Active Directory Domain Services". 4. At the "Active Directory Domain Services" right pane. 5. 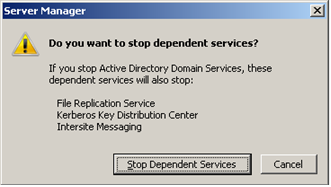 Under "System Services", select "Active Directory Domain Services". 7. Click "Stop Dependent Services". 8. Launch "Command Prompt", enter "ntdsutil". 8. 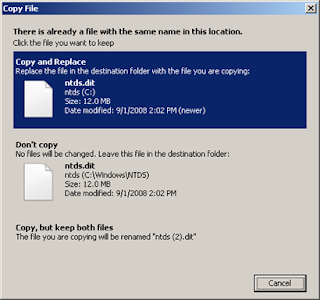 Copy you previous backup "ntds.dit" to replace "%windir%\ntds\ntds.dit". 11. At right pane, delete "DSA Database Epoch". 12. Back to "Server Manager", start the "Active Directory Domain Services" service. 13. Next to "Events", if the restoration successes, there is "Event ID 1000" in the "Events". 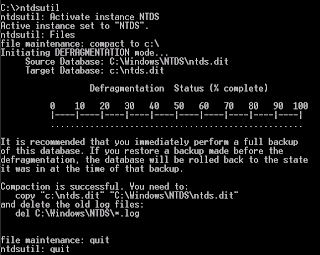 Nice :) When restoring from the backup onto a fresh install of Windows, are you just installing a dummy AD and then replacing the ntds.dit? Regardless of what you do, you'll need to have or configure valid DNS servers to point to the correct Zones. This won't work for restoring a domain from scratch if you just have the .dit file. Also, SYSVOL and other workings would be missing too. You policies wouldn't be in place. Don't think you can use this if you are restoring a downed domain. The domain controller is the same as previous one. I guess I could just do a quick lab of this, but what I was trying to ask you was how this would work in a disaster scenario when you have the ntds.dit file but had to resore it on a completely fresh install of Windows. Could you just install 2008 R2, add the domain controller role, install a dummy domain in a dummy forest and copy the file in? You can't install to a dummy domain in a dummy forest. The server can't boot up. my Primary DC failed. it doesn't work again. i tried to change slave DC to primary. But still couldn't change schema master role. Now what should i do. PLEASE HELP ME. Do you seize the schema master role by ntdsutil? i just did everything what you show. but i my domain controller failed. Could you provide more information about the domain controllers version, forest functional level, domain functional level? IF you perform "netdom query fsmo" in a domain controller, what is the result? I did the actions completely but my Windows 2008 SP2 continues to reboot automatically after replacing the database file. Any idea? Could you provide more information in your environment? 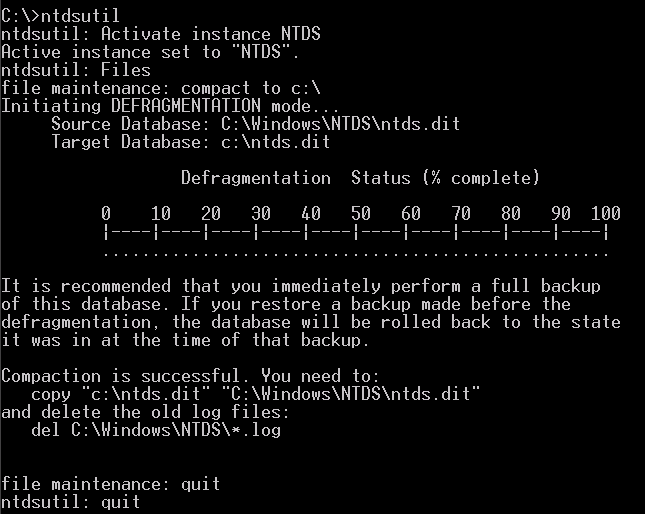 Do you restore the back up and restore the nrds.dit in the original one domain controller? This method quickly got me out of trouble after messing around with service principal names on DC. Luckily i did IFM export shortly before, so this method worked a treat! !